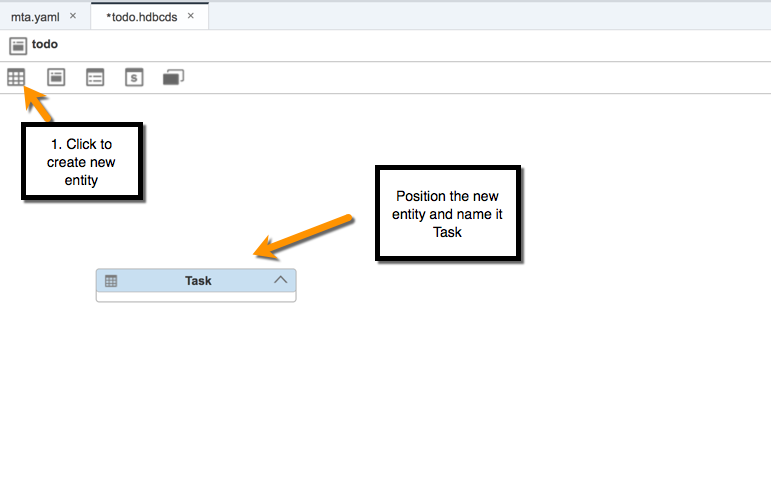 This blog post is part 1 of a series of blogs on how to develop full-stack To-Do application in SAP Web IDE Full-Stack. Before reading this blog please make sure that you have read, understood and implemented part 0 of this series there I have shown how to setup the environment for developing full-stack applications in SAP Web IDE Full-Stack. The database module will allow you to create and provision HANA database tables and views, following the SAP HANA programming model. 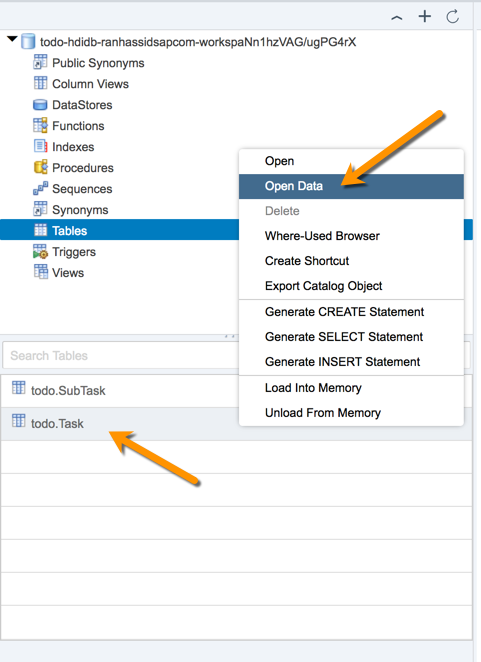 SAP Web IDE creates a new db folder in your todo app that contains all the artifacts of your database module. Also the mta.yaml file is updated accordingly. 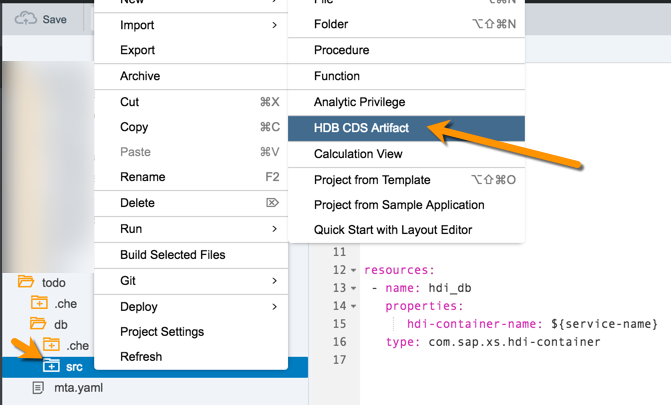 Expand the db folder, right-click the src folder and select New > HDB CDS Artifact*HDB CDS stands for SAP HANA Core Data Services and it is the approach to transform design time resource into a HANA database objects defined in the CDS document. In simple words: you model your entities and their properties in a simple syntax and all the relevant database artifacts are dynamically generated during deployment. You will immediately notice that SAP Web IDE opens the HDBCDS graphical editor for you. This editor allows you to easily create or change your HANA data model. In this screen you should be able to see the new properties you added to the entity. 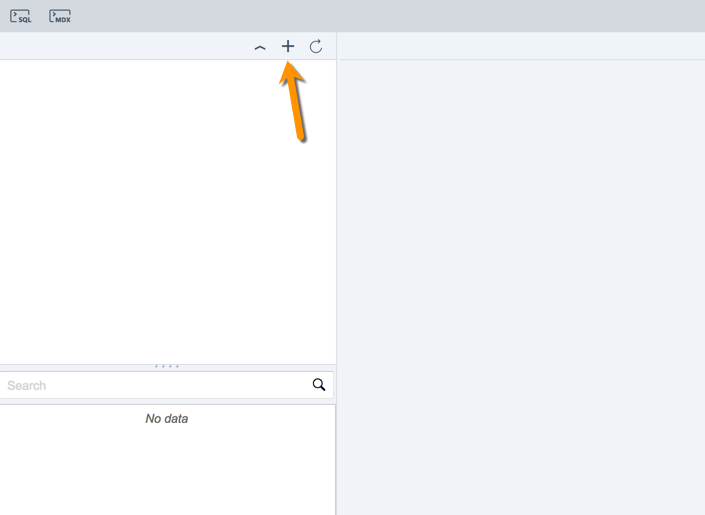 Select your Cloud Foundry API Endpoint – SAP Web IDE will show you a popup dialog for entering your CF credentials. Make sure you use your email address as username. 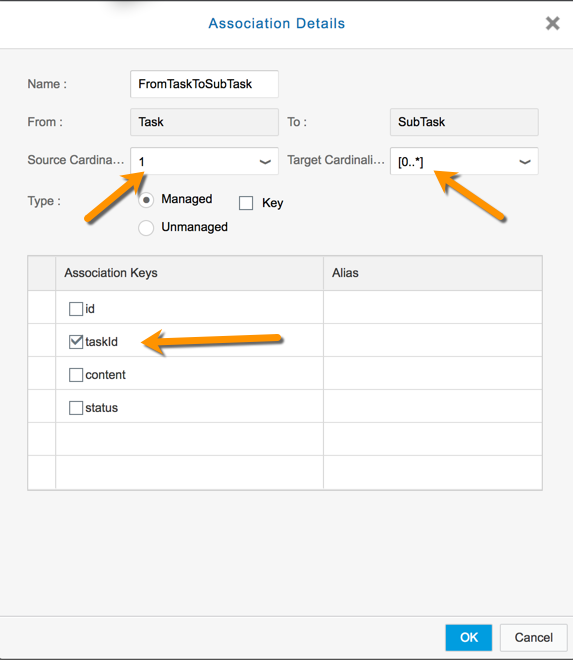 Select your CF Org and Space – If you are using your trial account, you will see only one org and one space and SAP Web IDE will auto select them for you. Next, install the builder by clicking on the Install Builder button – Notice that installing a builder can take several minutes and you will not be able to build your modules until it is finished. Click Save and wait for the builder to be installed in your SAP Cloud Foundry environment. 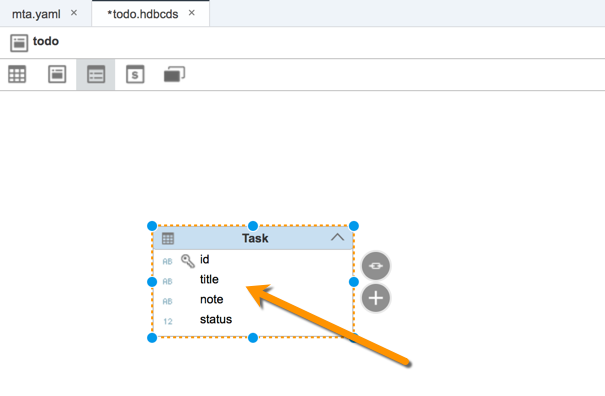 SAP Web IDE will now send a request to build your project. 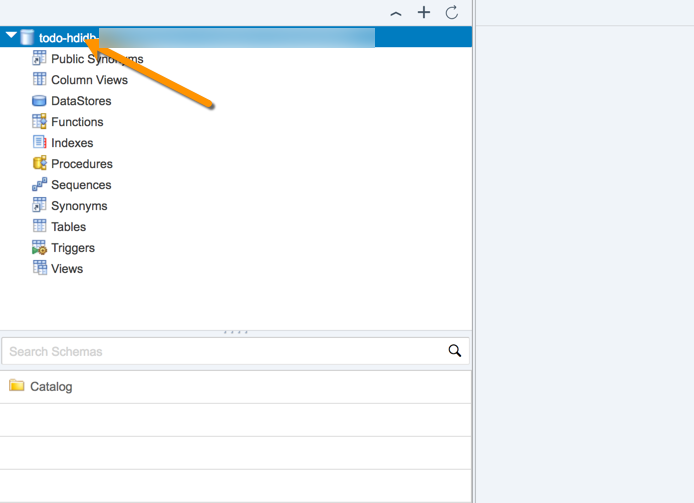 You will be able to see the build logs and status in SAP Web IDE runtime console. If you see “Build of /todo/db completed successfully” it means that everything went well and your database module has been built! In the previous section you created your HANA database module and built it. 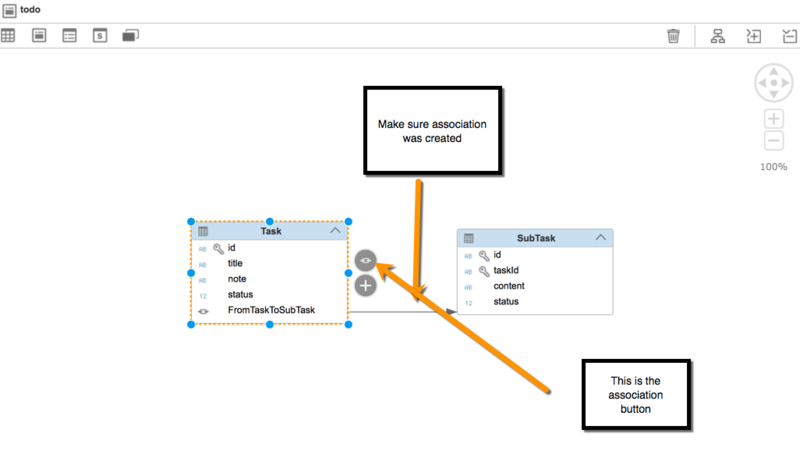 In order to test the outcome of the build process you need to connect to your HANA database instance, search for the scheme and check if the build process has created 2 tables: one for the Task and another for the SubTask with all of their properties. 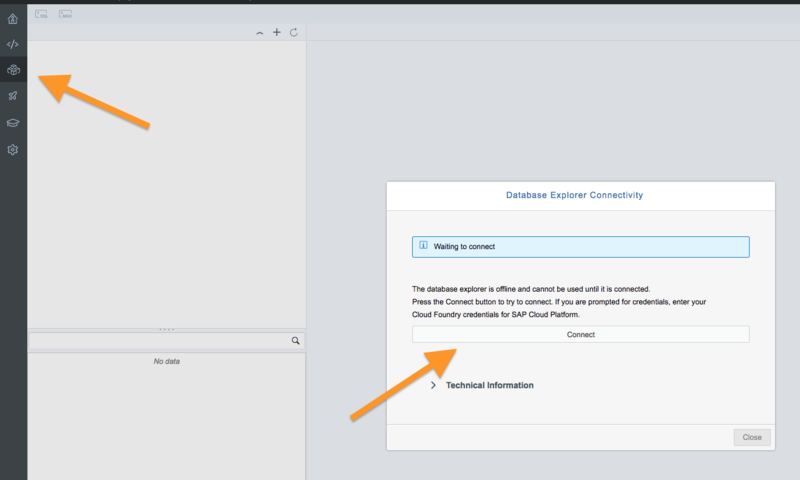 Lucky for you, SAP Web IDE Full-Stack has the HANA Database Explorer plugin integrated in it, and it provides an easy and intuitive way to connect, test and provision your SAP HANA database instance on Cloud Foundry! Now, you can execute any query to this database, check the data and metadata of your tables, views and more. Congrats! 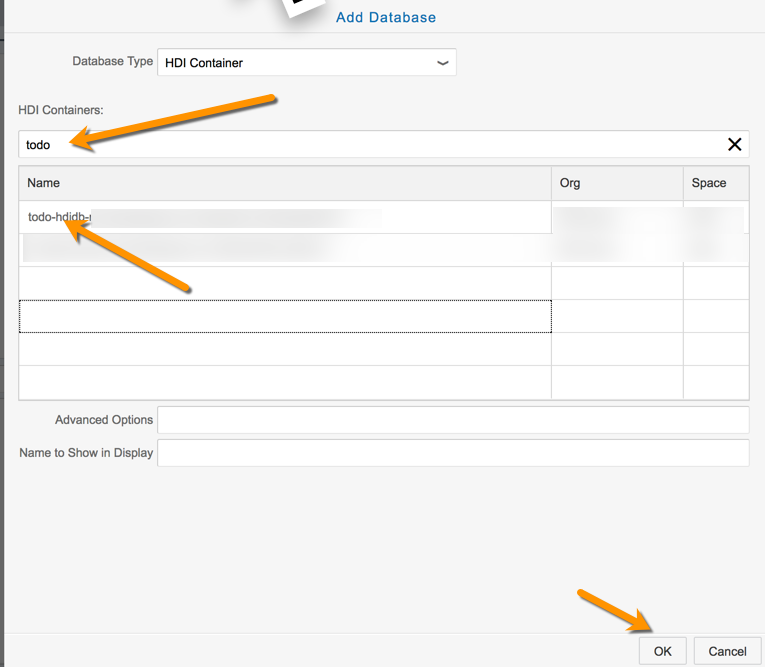 You have created a database module and generated HANA tables on SAP Cloud Foundry! 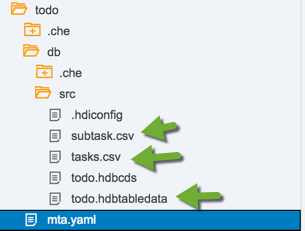 Load initial data to the tables during build by creating hdbtabledata & csv files. 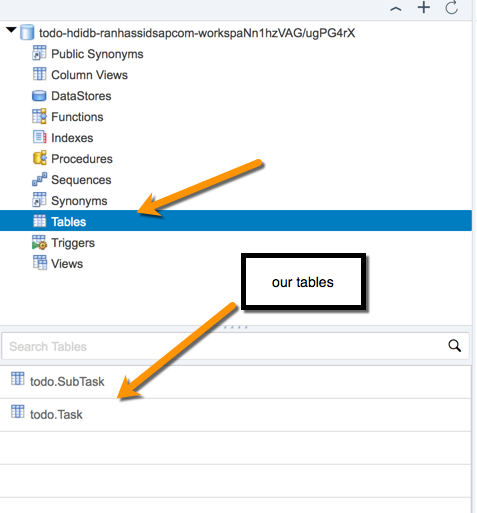 When everything is ready you can build your project again, and go to the HANA Database Explorer to see the data from the CSV files in the Task and SubTask tables. Now you can continue to the server-side development, in part 2.